The settlement is a far cry from the $75 trillion that record companies demanded for the "enormous damage" the peer-to-peer network wreaked on their profits. First there was Napster back in the early Oughts which earned the ire of everyone from David Geffen to Lars Ulrich for allowing users to "share" mp3s with each other, effectively stealing copyrighted material. After Napster fell apart, a few copycat networks emerged, the largest of which was LimeWire run by New York banker Mark Gorton. But after years of people lifting music and movies for free using his service, a U.S. District court ordered Gorton to shut down LimeWire's servers in October 2010 claiming that the service "intentionally encourages" copyright infringement. At one point, the Recording Industry Association of America said that Gorton was personally responsible for over $75 trillion in damages, but a jury in New York met over the last two weeks to determine how much Gorton was required to pay. Yesterday, the RIAA and Gorton settled to pay a measly $105 million to the four largest record companies, much less than the $1.4 billion that the court could legally impose. Still, the recording industry is just happy LimeWire is no longer letting people steal music. "We are pleased to have reached a large monetary settlement following the court's finding that both LimeWire and its founder Mark Gorton are personally liable for copyright infringement," said Mitch Bainwol, chairman of the RIAA. 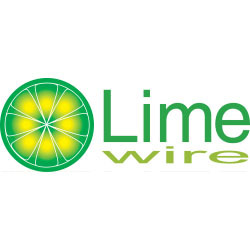 "As the court heard during the last two weeks, LimeWire wreaked enormous damage on the music community, helping contribute to thousands of lost jobs and fewer opportunities for aspiring artists." Gorton's lawyer tried to save face by calling the settlement a victory. "In the recent past, the plaintiffs have pressed for a $75 trillion verdict," he said. "The Court labeled that claim 'absurd.' Plaintiffs then claimed that they suffered $40 to $50 billion of damages and that LimeWire was responsible for it all. At other times they have claimed that the amount of damages exceeded $1.4 billion." The $105 million, although quite a lot money, is not very much for Gorton to pay because, in addition to being the sole owner of LimeWire, he also runs a hedge fund and a medical software company. The court noted that he owns a personal IRA account worth $100 million as well as a $4 million Manhattan apartment building. Paying the record companies is no skin off his nose. Something tells me the settlement money isn't going to starving recording artists, either. So I'm not sure what good this settlement will do for either side of the argument for "freely distributed" copyrighted material. Then again, I'm happy to buy my $5 mp3 albums off of Amazon so perhaps the record companies and consumers have reached a happy equilibrium.